James Harriott was born in 1745. In his book ‘Struggles Through Life’ he describes how on his way to school, he had to pass the house in Stambridge Road where the witch lived, the old crone could be seen in her garden collecting poppies which she fed to her imps. He later became friendly with the old lady. Perhaps his most important feat was, after seeing the tremendous amount of thieving and skulduggery that went on in the London docks, contacting the Lord Mayor and the Home Secretary to no avail. Eventually he and fellow magistrate Patrick Colquhoun set up an office next to the police station at Wapping and trained a group of watermen to quell the gangs that virtually ruled the Thames. Thus the Thames River Police was formed. 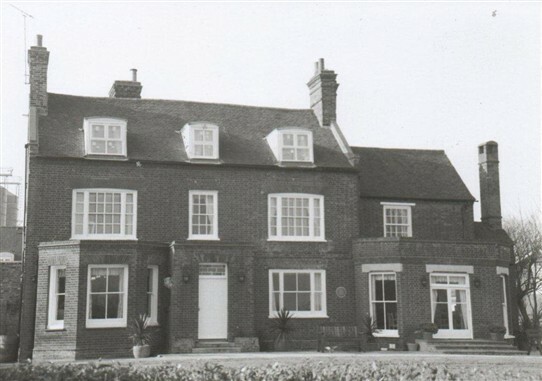 The extraordinary man lived at Broomhills where the members of the Rochford Historical Society were responsible for placing the Blue Plaque on the building. Broomhills is now a Nursing Home. This page was added by Mave Sipple on 25/03/2013. 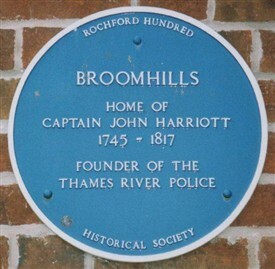 Require more information re James Harriot's life e.g. are there any books, autobiography?